The new WD Black SN750 SSD arrived in the office barely 24 hours after the Samsung 970 EVO Plus review embargo broke. Solid state drives are entirely unlike buses in almost every way – they have fewer wheels, they don’t make you feel the overwhelming urge to shower after using one, and you’re unlikely to be stabbed over a kebab riding one home at 1am – but still you spend months waiting for a new SSD and two arrive at once. Like the Samsung EVO Plus, the 2019 edition of the WD Black is more evolution than revolution. Which is certainly no bad thing as the 2018 version I reviewed last year was one of the most impressive NVMe SSDs I’ve tested. It’s not quite in the same performance league as the straight Samsung 970 EVO, but arrived undercutting it in price making it a very tempting budget alternative. While the underlying hardware of the new drive hasn’t really changed, Western Digital has been busy beavering away under the hood, optimising the drive for increased performance, closing the gap on Samsung, and making your choice for a new SSD a bit more of a tough decision. 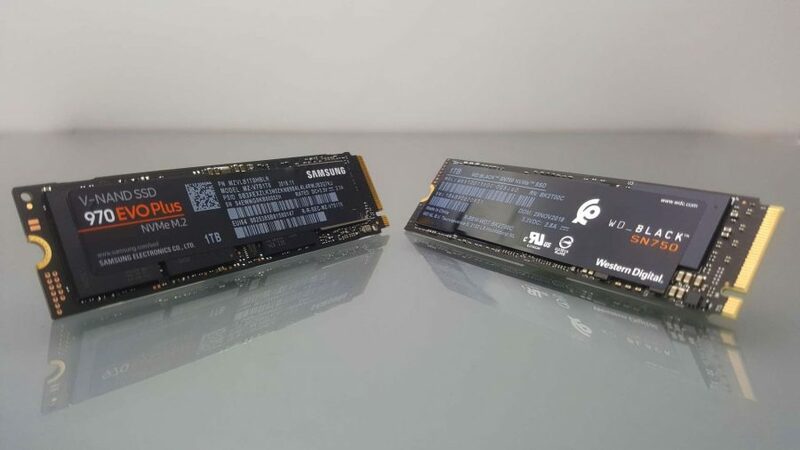 Samsung has had things its own way for a good few years in the SSD world, thanks mostly to its decision to spend the time and resources on creating its own memory controller. Combined with the fact it also creates its own NAND Flash memory, that meant it could control the pricing and the manufacturing from top to bottom. And, because most other me-too SSD manufacturers were picking off-the-shelf memory and controllers, it was able to force a whole host of them out of the game. But at that point Western Digital was still just mucking around with spinning platters and trying to figure out what to do about this whole solid state malarkey threatening to take out half of its business. What it eventually decided to do was take the Samsung model as a basis and set about acquiring its own memory manufacturers in SanDisk and Toshiba, and it then put the effort into creating its own in-house memory controller to get that NAND working. And it’s a strategy which seems to be paying off as the new WD Black is the closest I’ve seen anyone get to usurping the Samsung SSD hegemony in years, especially at the very top end of the performance tree. 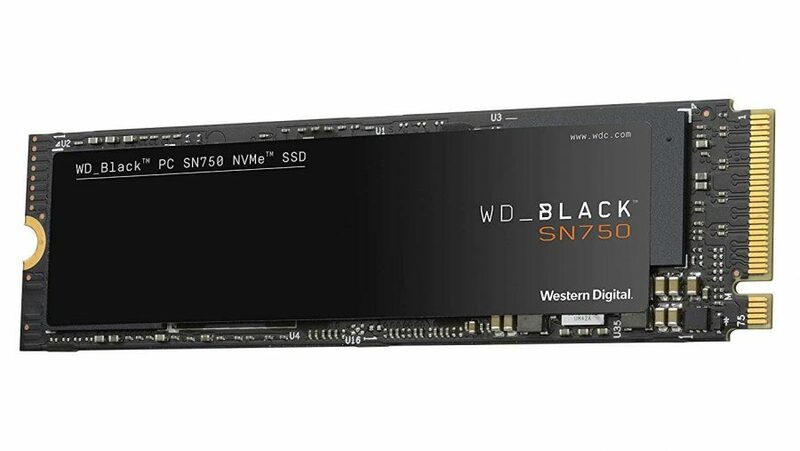 Inside the WD Black SN750 is the same 256Gb 64-layer TLC NAND as the previous version, and the same essential triple-core WD memory controller too. But the improved firmware has been designed to bolster the write performance of the drive without harming the speed of anything else. Like Samsung, WD is employing its own caching techniques to help boost the the pace of the otherwise laggardly TLC memory. We don’t know the level of SLC portioning that WD is using for its Turbowrite-like nCache 3 system, but the last-gen drive offered a 20GB cache for its 1TB version, so it’s likely to be the same here. In terms of actual performance the head-to-head battle with Samsung’s latest EVO Plus drive is remarkably close. The Samsung SSD just about has the lead, but where the 970 EVO Plus delivered benchmark performance that was a little behind the rated speeds in its marketing material, the WD Black SN750 actual exceeds them. And that means the overall performance is incredibly close. The sequential read performance of both drives is still behind the older 970 EVO in the AS SSD benchmark, with the new Samsung firmware potentially nerfing the Phoenix controller’s previous performance operating with incompressible data. The 4k random read/write performance of the 970 EVO Plus, however, is beyond the older Sammy and the new WD Black SN750. The 4k random test uses lots of tiny files and we use that to simulate the millions of minute operations your PC is carrying out all the time. Look, I bet your PC’s hard drive light is blinking right now and you probably don’t know what it’s doing. The higher the 4k random performance is, the slicker the general experience of using the drive as a Windows system disk will be. In our real-world tests though there is almost nothing to choose between the latest Samsung and WD drives. The WD Black is a couple of seconds quicker on the compression test and the new 970 EVO Plus is quicker in a full 30GB mixed file folder copy. In essence, with either drive installed you wouldn’t notice the performance difference. The WD drive does though have its Gaming Mode. But in our testing that didn’t make any tangible difference to the rated performance of the drive, and despite concerns that taking the thermal limits off the drive might spike temperatures it still ran cooler than the Samsung SSD under repeated load. The 970 EVO Plus tops out at 69°C, while the WD Black SN750 barely hits 65°C under sustained workloads. And that also means the extra money you’ll have to fork out for the SKU with the EKWB heatsink will be entirely fruitless. What the Gaming Mode is meant to do is reduce latency by nixing the lowest idle state of the drive, ensuring that it doesn’t waste nanoseconds waking up when you need it in-game. Though honestly the times the drive will actually go into that deep sleep are few and far between. All things considered the Samsung is still just about the better drive, but by a margin that would be all but invisible to the end user. Given that the price differential between them is similarly invisible then the recommendation has to go to the new EVO Plus. That said, the very fact that it simply comes down to a matter of price highlights just how close this race is. 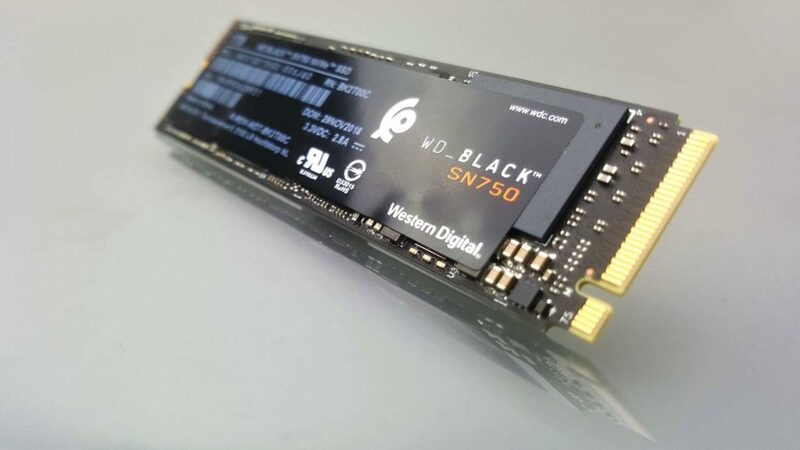 And if you find the new WD Black SN750 drive on sale in the future you know that you’re not really going to be losing out picking that up instead of the classic Samsung SSD. Because whatever the outcome of this head-to-head battle, both these drives are pretty much the best NVMe SSD you can screw into your PC today. A fantastic NVMe SSD that manages to rival Samsung's latest drives, even if it can't quite manage to surpass it.